So far, utilities have acknowledged the presence of enough health-harming contaminants like arsenic to trigger cleanup rules at 70 coal-fired power plant sites. The clearest picture yet of coal ash contamination in the United States is emerging, with utilities reporting serious groundwater contamination in at least 22 states. At dozens of power plants across the country, including many in the Southeast, utilities have found coal-ash pollution severe enough to force them to propose cleanup plans. Those plans will likely become the next front in a decades-long battle over how to manage one of the nation’s largest industrial waste streams—one tainted by toxic heavy metals. But as widespread as the contamination appears to be, environmental advocates are finding a measure of hope, even as the Trump administration pushes to roll back federal rules for managing and cleaning up contamination from the billions of tons of coal-burning wastes that have piled up across the country. All power plants in South Carolina, for example, are removing the ash from their unlined ponds to prevent them from leaking pollution into nearby waterways. The governor of Virginia this month called for the complete removal of coal ash ponds within the Chesapeake Bay watershed. And environmental advocates have won rulings in state and federal courts, keeping the pressure on utilities to take action to protect human health and the environment. “It’s a flicker of hope, but there is an ill wind,” said Lisa Evans, a senior attorney at Earthjustice who has fought for better protections from coal ash for years, referring to concerns about the Environmental Protection Agency’s concessions to utilities under the Trump administration. Utilities for decades have annually produced more than 100 million tons of coal burning wastes, including ash and scrubber sludge. The ash contains contaminants like selenium, mercury, cadmium and arsenic associated with cancer and other serious health effects, according to the EPA. The Obama administration in 2015 put in place the first national regulations for coal-burning wastes, favoring dry storage in landfills over wet storage in ponds. Those rules require utilities to conduct groundwater monitoring at ponds and landfills, close leaking ash ponds, clean up polluted groundwater and disclose their studies and actions on their websites. 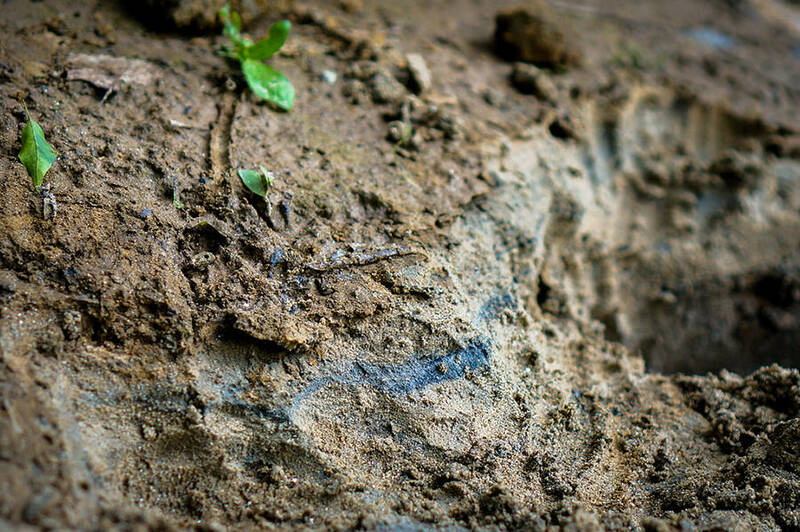 This new national picture of coal ash contamination has emerged in part because the environmental groups Earthjustice and Environmental Integrity Project, with others, have combed through utility websites, collecting information from documents that utilities began publishing last year. The groups have issued several reports in recent weeks with similar conclusions. For example, in Illinois, they found evidence of toxic pollutants such as arsenic, cobalt and lithium in groundwater at 22 of 24 coal ash dump sites. In Georgia, similar contamination was reported at 11 of the state’s 12 coal-fired power plants. A report released Thursday reveals evidence of contaminants leaching from all 16 coal-fired power plants with ash ponds or landfills in Texas. Utilities listing the heavy metals and other contaminants detected during groundwater monitoring is just the first step; fewer have taken the next step of further assessing the sites and acknowledging those that exceed federal standards that will require them to come up with a cleanup plan. Kathy Little, who fought a utility over blowing coal ash and ash pond safety at a now-closed power plant near her home in Louisville, Kentucky, said she is encouraged to see utilities finally owning up to their pollution. Deciding what to do with the ash that’s in the storage ponds is one question. What to do about the polluted groundwater is another. In the utilities’ reports, Earthjustice found that contamination at at least 70 coal-fired power plants in 22 states met the threshold that would require them to prepare groundwater cleanup plans. 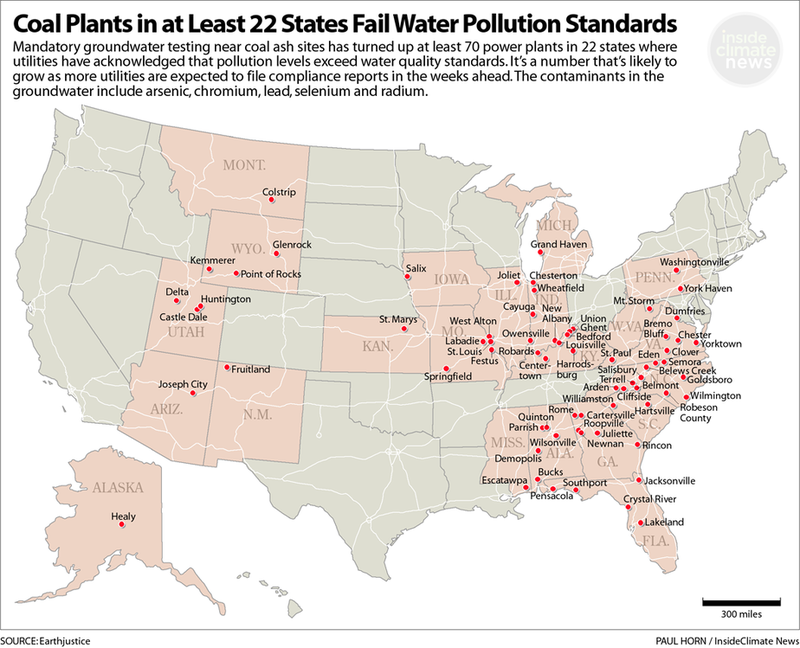 Some of the other power plants where pollution has been detected in the groundwater, including those in Texas, have yet to acknowledge if they have exceeded the standards. Those that have acknowledged exceeding the limits so far represent about a quarter of the nation’s coal-fired power plants with coal ash ponds and landfills that are subject to the 2015 rule; most of the remaining plants are expected to file their groundwater reports next month. What comes next may be battles over those cleanup plans, Evans said, adding that some utilities may argue that nature will do the work after ash ponds have been closed down. 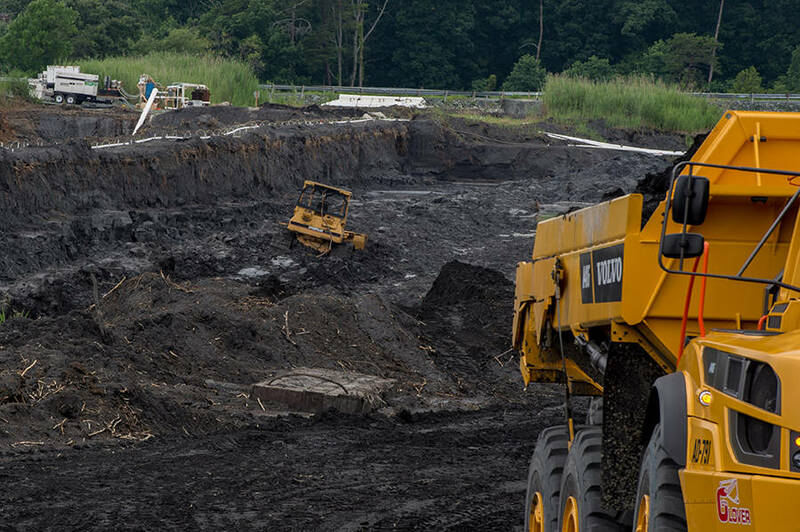 “Some plant owners have (already) tried to argue that the contamination is not coming from coal ash,” said Abel Russ, a senior attorney with the Environmental Integrity Project. 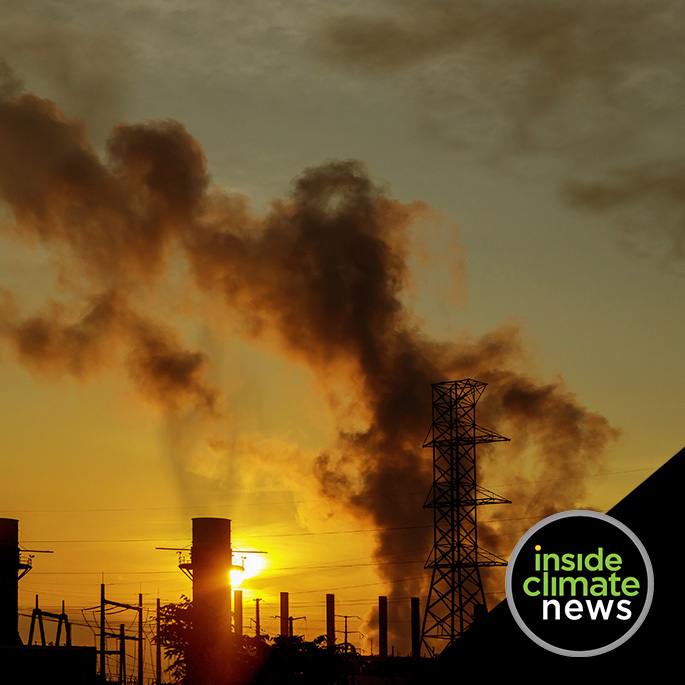 Industry representatives said the recent pollution disclosures demonstrate that utilities are complying with the rules. “We are taking steps to address the releases, and to address impacts to groundwater,” said James R. Roewer, executive director of the Utility Solid Waste Activities Group, which lobbies on coal-burning waste issues for electric utilities. Roewer’s group last year persuaded the Trump administration to relax the Obama-era rules in part by extending the deadline to stop using some coal ash ponds from April 2019 to Oct. 31, 2020. The Trump administration also gave states some enforcement flexibility. Earthjustice and other environmental groups have sued to stop those changes. The EPA last year said it will revisit the ash rule for other possible changes. And the agency still must respond to an Earthjustice lawsuit it lost last year that found some Obama-era protections lacking and will require the closure and cleanup of some 100 additional coal ash ponds left out of the 2015 rule. Earthjustice believes that before the EPA moves again to weaken coal ash regulations, it needs to strengthen them as required by the court, Evans said. EPA officials did not respond to requests for comment. Roewer said he wants risk-based groundwater standards and more flexibility in determining where compliance should be required based on environmental exposure at each power plant. “Those site-based considerations would still have to be protective of the environment,” he said. Congress in 2016 passed a bill that gave utilities what they wanted, and that was a way for states to take over enforcement of coal burning wastes with EPA-approved programs. Oklahoma last year became the first state to get that authority, a move that prompted another Earthjustice lawsuit. One of the power plants connected to polluted groundwater is in the small town of Wilsonville, Alabama. Mayor Lee McCarty said he’s concerned about private wells used by people to water livestock and vegetable gardens. “There is no remedy” he sees forthcoming for that pollution, despite a $250,000 state fine assessed against the Gaston Steam Plant’s owner, because Alabama Power isn’t being required to haul away the more than 20 million tons of coal ash there. Draining ash ponds and putting caps or covers on them to protect them from rain and prevent further leaks is allowed, said Michael Sznajderman, an Alabama Power spokesman. He said company officials also expect that will resolve the groundwater contamination there. Removing ash before closing ponds can cost up to five times more and add years to decades to closure timetables, he said. Alabama Power, part of the Southern Company, “is focused on identifying the most cost-effective ways to comply with mounting environmental rules while protecting the state’s natural resources,” he said. Moving a waste product from one place to another can transfer a problem from one community to another. Environmental advocates agreed that that can and has burdened some low-income communities. So far, they said, most of the ash dug out of storage ponds has gone to a utilities’ existing or new landfills on power plant property. Some gets recycled into cement products. As utilities start to move or cap their coal ash waste, many are passing the cleanup costs to their customers. North Carolina based Duke Energy anticipates spending $5 billion on coal ash cleanup over the next five years in North Carolina alone, and state utility regulators have agreed to let the company’s two North Carolina subsidiaries charge its customers for the first $778 million of that. The state’s attorney general, Josh Stein, has appealed, citing the company’s record on coal ash. In Alabama, Alabama Power customers this year will absorb $200 million in coal ash cleanup costs, officials said. In Virginia, Dominion Energy last week sought approval from state utility regulators to collect $114 million from its customers to pay for costs related to coal ash regulations.